You pay a nominal dollar when the term ends, and the copier will be yours. While this builds the greatest equity, you have to understand that the payments will be higher than with other methods. Never choose this option unless you intend to purchase the equipment after the lease has ended. When the term ends, you have the option to pay 10 percent of the original value and assume ownership. This lease option becomes a great choice if you are unsure of whether you intend to buy the equipment when the lease ends. If you choose to buy the equipment, you will have to pay what the leasing company deems a fair market price. Fair market value leases have the lowest payments, but you will build the lowest equity with these leases. The lessor often asks a price that costs more than 10 percent of the original value. However, this should be negotiable. This strategy works best if you do not intend to buy the equipment. 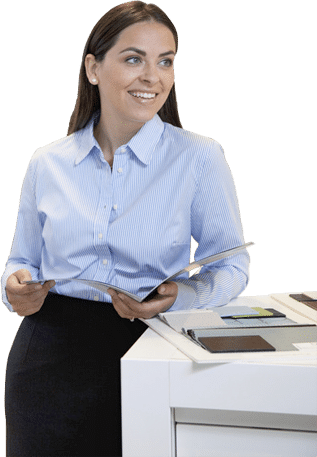 Armed with knowledge, you are on your way to choosing the proper exit strategy when leasing a copier. Before signing a lease, have a plan for what you want to do.